NIA CHARLESTOWN NEVIS (September 24, 2018) — Two of the 19 home owners at the Cedar View Housing Development at Maddens Estate, commended the Nevis Island Administration (NIA) and the Nevis Housing and Land Development Corporation (NHLDC) for the service and quality of the homes they received. 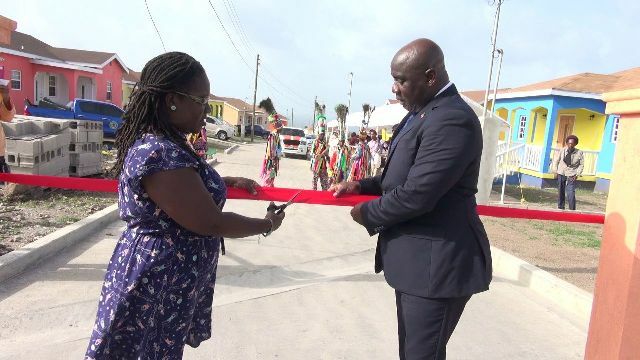 Ms. Kimoye Wyatt and Mr. Kenrick Liverpool expressed their gratitude as they gave their testimonials at the official opening of the housing development on September 20, 2018. “I can safely say to you that the machinery that was involved, all the departments, all the ministries that were involved in this project did an excellent job. I was particularly pleased by the Nevis Housing and Land Development Corporation, the staff there, the communication was excellent. “I can testify here, that all the faucets and all the fittings and plumbing and the stuff that were bought were of high quality. I am pleased, very pleased…I want to commend those persons who were involved in that and I am particularly pleased with the house,” Mr. Liverpool said. He also registered his gratitude to Hon. 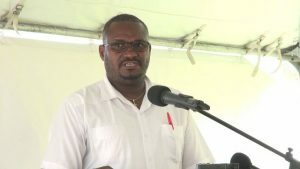 Alexis Jeffers, Minister responsible for Housing and Lands, who is also the Chairman of the NHLDC Board of Directors, and thanked all those who made the development a reality. “I want to say kudos to the Nevis Island Administration. 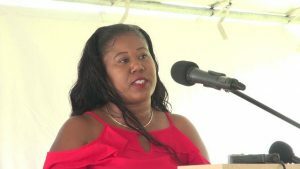 Kudos to [St. Christopher and Nevis Social Security Board] for the loan that you would have given and everyone that was involved in this project – excellent job. Job well done!” he said. “I would like to say to all who may be interested in owning their home, work hard and go for it. It is a great accomplishment. Ms. Wyatt also expressed gratitude to Hon. Alexis Jeffers for his reassurance during the construction phase whenever she called on him with her concerns. She also thanked the Social Security Board. The Cedar View Housing Development is the latest housing project by the NHLDC. 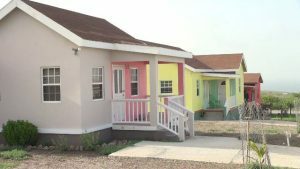 They broke ground for the $8.4million project, funded by the St. Christopher and Nevis Social Security Board, in February 2017.The development sits on 5.93 acres of land and consists to 31 lots, including a common area. So far, 23 houses have been constructed, 19 of which have been handed over to their owners. An additional two are under construction and work is expected to commence soon on five more. The lot sizes range from 5,000 to 6,226 square feet. The area offers views of the Atlantic Ocean with Nevis Peak in the backdrop. Mortgages are available to prospective homeowners by the NIA with a facility which is administered by the Nevis Co-operative Credit Union (NCCU).